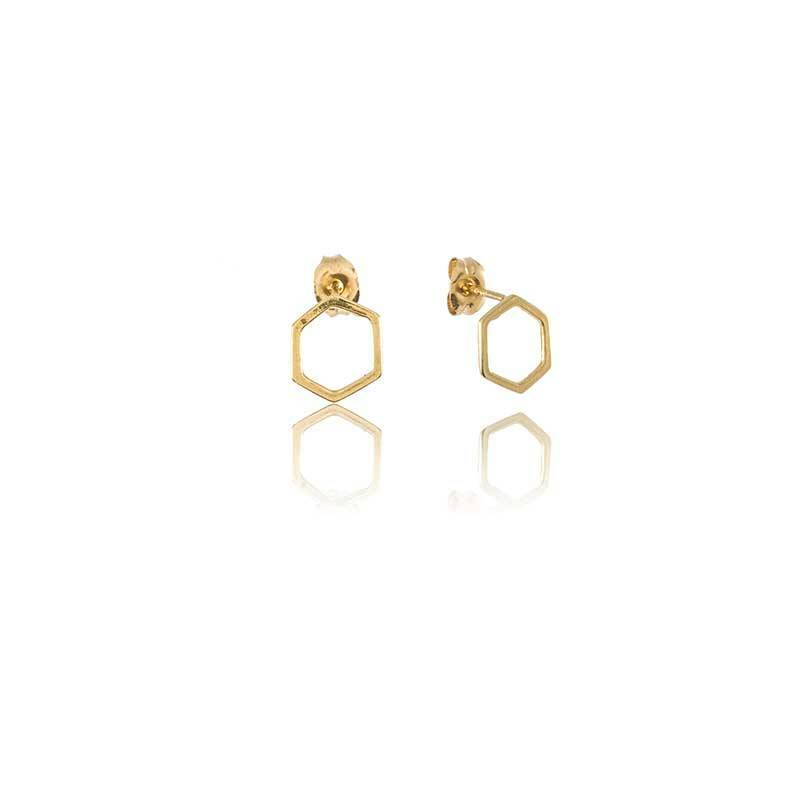 Small hexagonal studs, vermeil and gold filled by The Pi Collection. 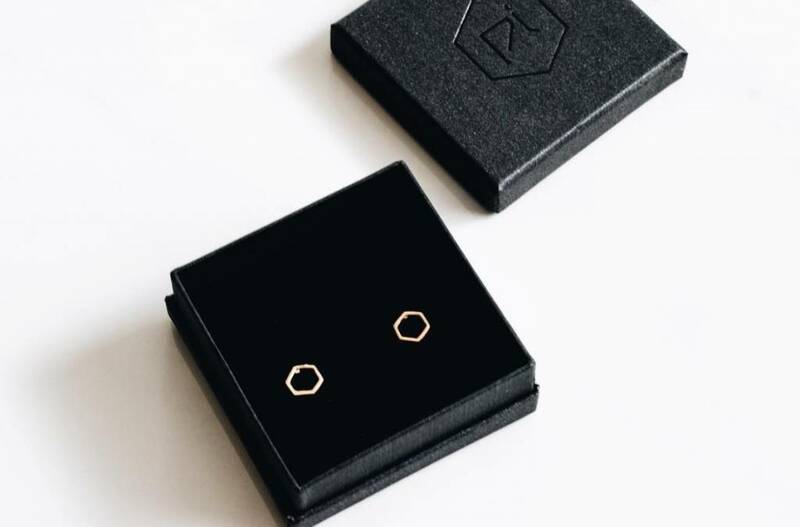 The small hexagonal stud earrings are perfect for everyday. 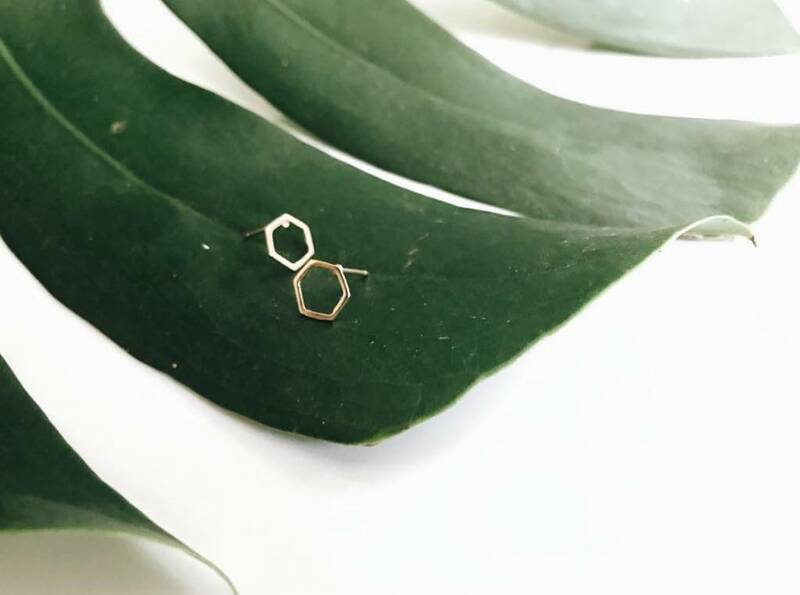 These wee hexagons are handmade with vermeil and gold fill, measuring only .312" x .312". Each piece is designed and handmade by The Pi Collection in Honolulu HI, USA. Please take care when cleaning gold-filled and gold plated jewelry to protect the layer of gold from being worn away or nicked. Do not use abrasive compounds to clean the jewelry. Although vermeil and gold-filled jewelry will not tarnish, it will get dirty. The oils from your skin transfer to the metal and need to be washed off periodically. The easiest way to care for it is to scrub it with an old soft toothbrush and a mild dish washing liquid. Rinse it well and lay on a towel to dry. Be sure it is completely dry before storing.